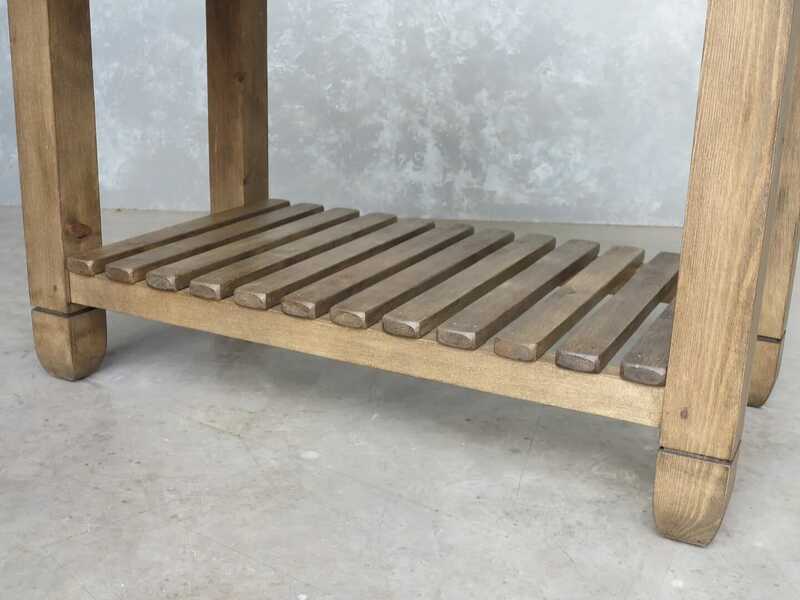 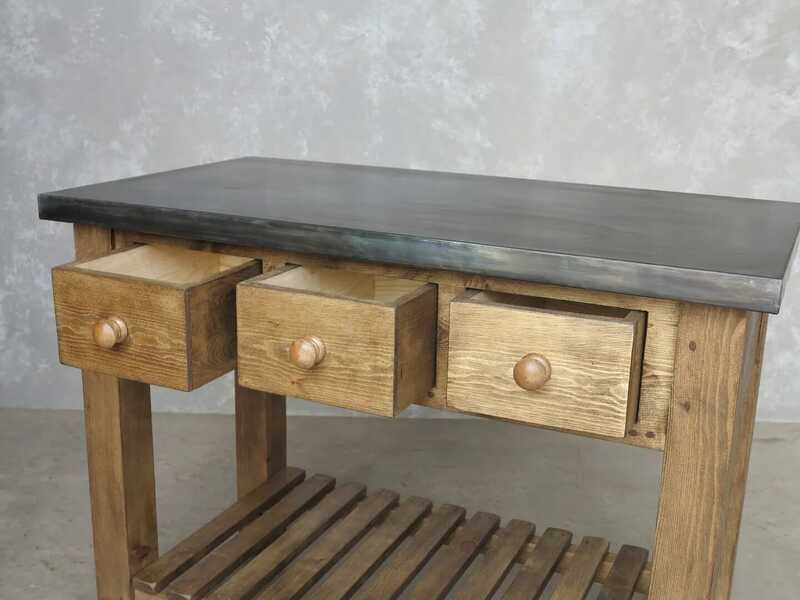 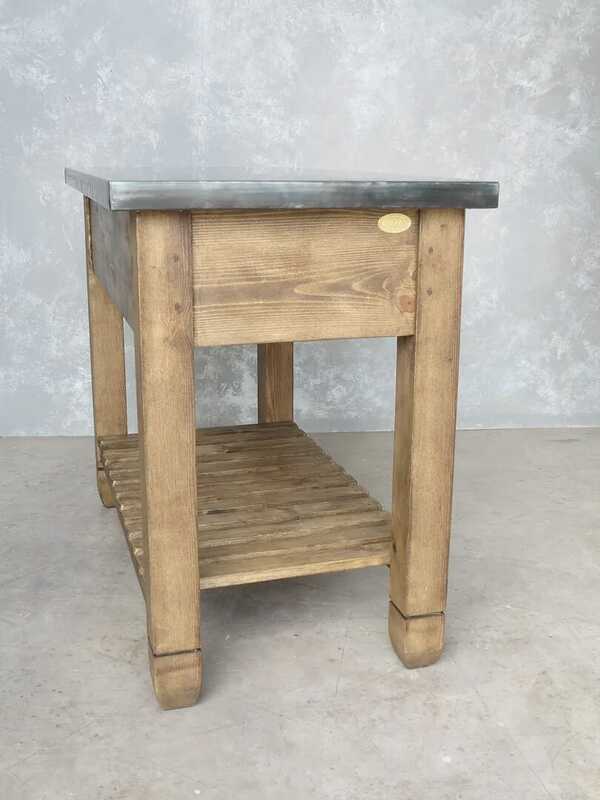 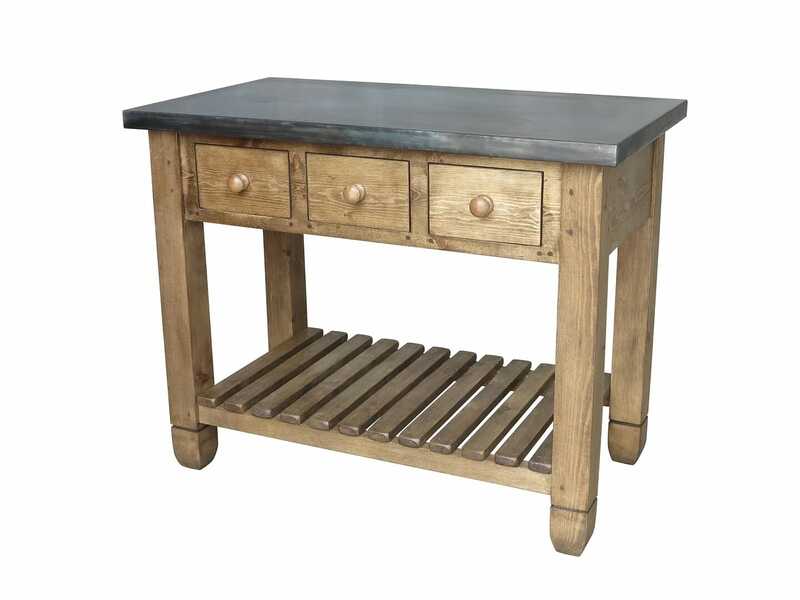 This particular antiqued zinc top unit has the specifications: 110cm Long x 60cm Deep x 87cm Tall, 40mm thick top, 1 x slatted shelf, 3 x drawers, leg detailing and hand waxed base with Jacobean wax. 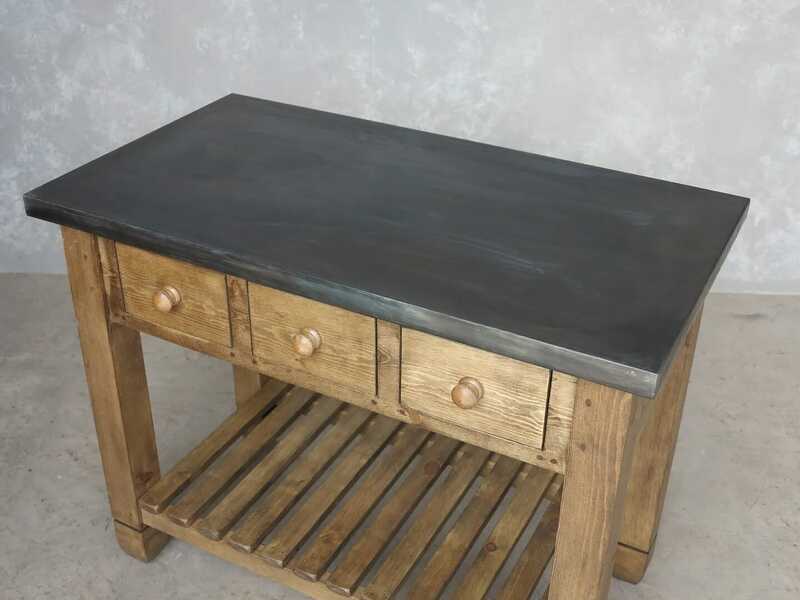 For the same price you can have the base painted in a colour of your choice. 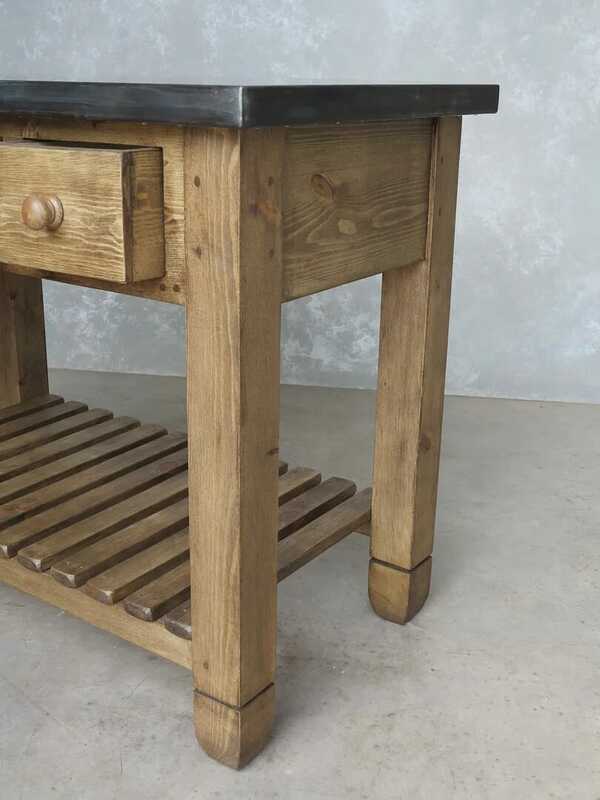 With a waxed finish we will give you a tin of wax and a mutton polishing cloth.